NCRC has two fee waivers for their Just Economy Conference — first come, first serve. Registration includes 3 days of meals and receptions, 2 days of key notes and workshops, and one day on Capital Hill advocating for your communities. Our conference is going to be amazing and will fill you with resources and inspiration to bring home and to apply to the hard work you do every day. The Fee Waiver Registration Link included with this bulletin makes conference registration only $50—First come, first serve. 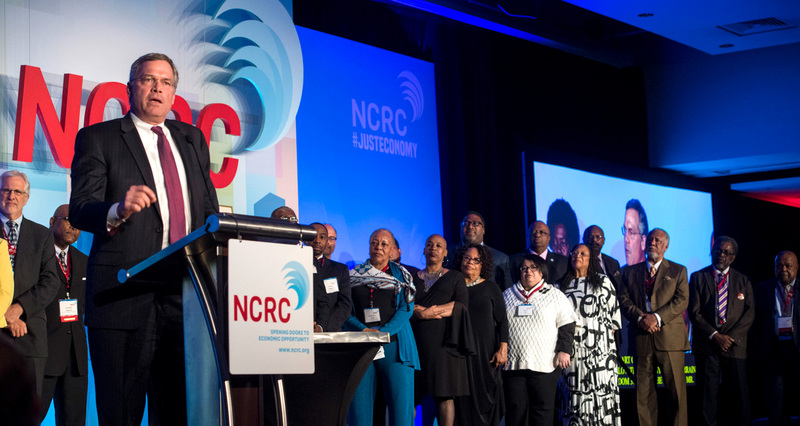 Join NCRC in March at the Just Economy Conference. This is the national event for community, policy, government and business leaders who work for an economy that’s free of discrimination and full of opportunity. More than 1,000 people gather in Washington, D.C., for three days of learning, networking and inspiration on creating an inclusive economy for all. Featured speakers in 2019 will include Jose Antonio Vargas, the Pulitzer Prizewinning journalist, immigrant rights activist and author of Dear America, a memoir about his experience as an undocumented American. This is an essential event for leaders, activists, organizers and supporters of the movement for a Just Economy.